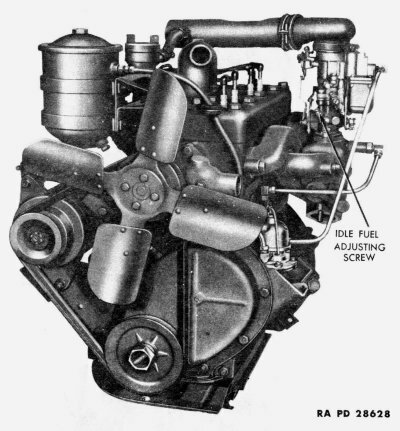 The engine used in the 1/4-ton 4 x 4 Truck is the 4-cylinder, L-head, gasoline-type (figs. 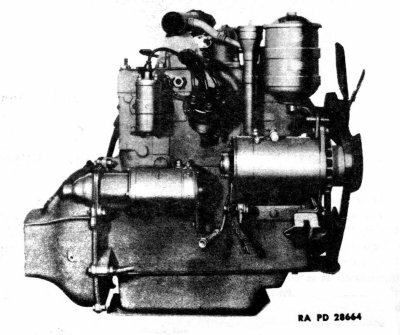 1, 2, and 3), equipped with a counter-balanced crankshaft. The camshaft is operated off the crankshaft through a timing chain (fig. 40). 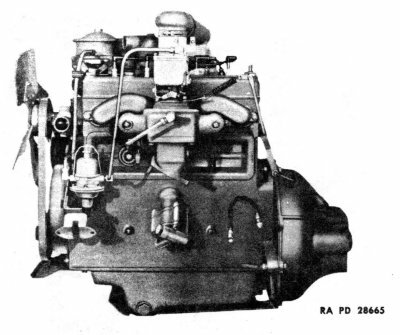 The oil pump and distributor operate off the camshaft. Bore and stroke ……………………………….. 3.125 x 4.375 in. Piston displacement ……………………………. 134.2 cu in.